Printrun is a set of G-code sending applications, written by Kliment. It consists of printcore (dumb G-code sender), pronsole (featured command line G-code sender), pronterface (featured G-code sender with graphical user interface), and a small collection of helpful scripts. Together with skeinforge or Slic3r they form a powerful printing toolchain. skeinforge is include (but may be too slow to be usefull). Here is Printrun, a 3D Printer "driver". 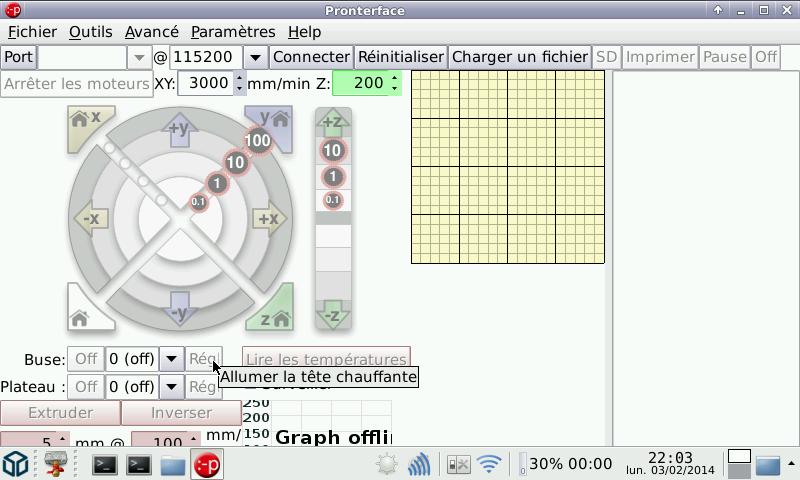 Include in the PND is "skeinforge", a slicer that will transform 3D files into G-Code (3D Printer language). A big thanks to TrashyMG for the testing. Note that you will need the wxPython PND to run this. awesome! could you fix the gui, that it shows fullscreen properly pls? thx for the package!